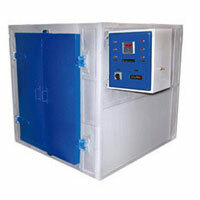 This industrial oven is specially designed as per guideline of GMP supplied with IQ, OQ & PQ Document with Calibration report for PID Controller. • Outer made of S.S.304 Dull finish. • Heating Element is made of S.S. ‘U’ type tubular Nichrome wire with S.S. Sheathing. • Heaters are placed at the right & left side of the inner chamber. • PID Controller with auto tuning facility with double display to view set & current temp. • Silicon rubber gasket fitted on door to prevent lost of heat. • Control Switch & pilot lamp are fitted on front panel supplied with S.S. Rod Type Jali. • Digital timer to cut off the heater at set intervals PID controller with printer interface to record set valves & actual valves data 7 Timer. 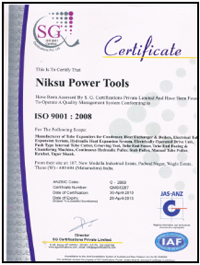 • Single 4 point/8 point data logger. • Air circulation for uniform Temp. Throughout chamber.